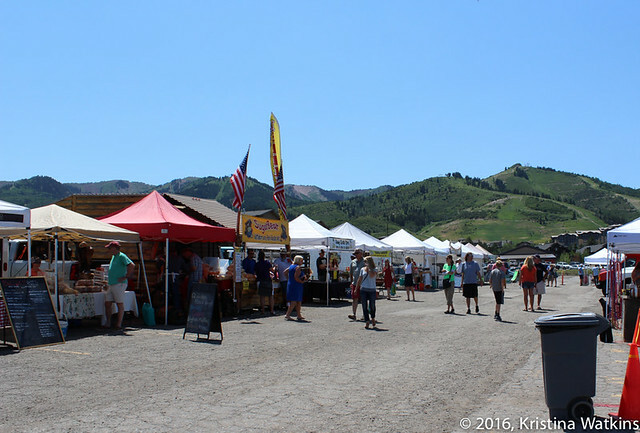 Every Wednesday, during and after the Open House Tour is the Park City Farmers Market. But Tour day is so tiring that I know if I go to the Farmers Market afterwards I will have zero reserve, buy All The Things and have more salad than can fit in my fridge. But, if I get a coffee around 4 PM I can finagle just enough brainpower to get in, buy some corn and get the Sam Hill out of there. For those with a less strenuous Wednesday, it’s loads of fun and you could actually do all your grocery shopping there. 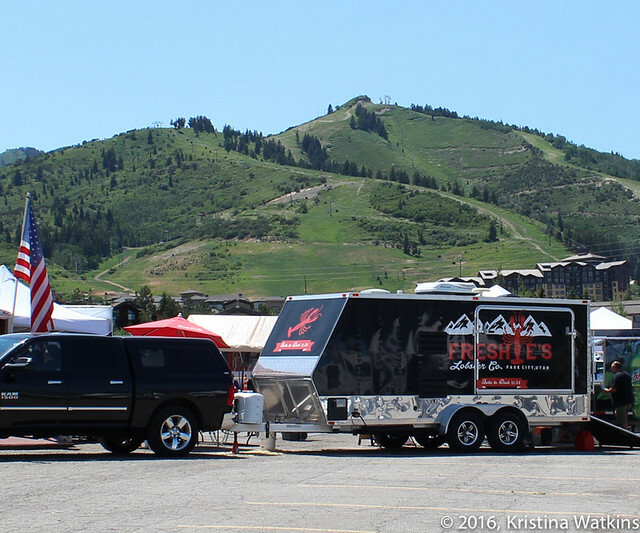 Where: the parking lot at the Canyons Village of Park City Resort, Wednesdays from 12-6 PM. As you can imagine, there is all manner of Farmers Market fare here. 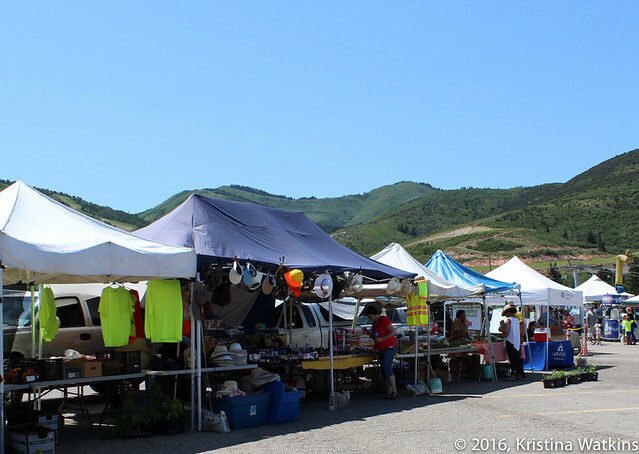 Vegetables, garden plants, cheese, popcorn, tinctures and jewelry. Beef tent? You got it. Fresh mozzarella and butter. Chocolate sauce. Seafood. Baked goods. You got that too. New game: take a shot every time you see the word “artisan.” Die tragically. Apparel, shirts, shoes. The hat guy probably sells out every week. 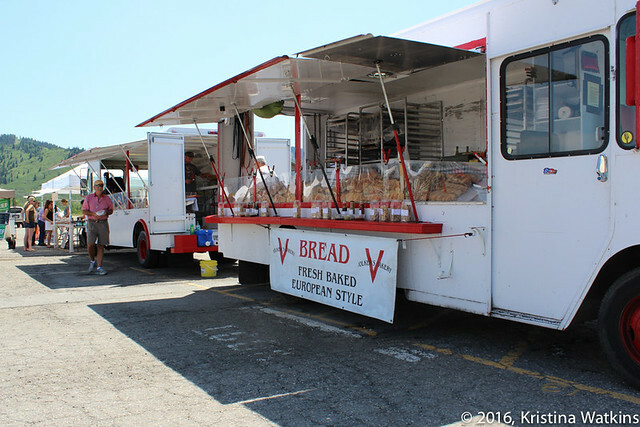 Local bread and wood-fired pizza food truck? Obviously. 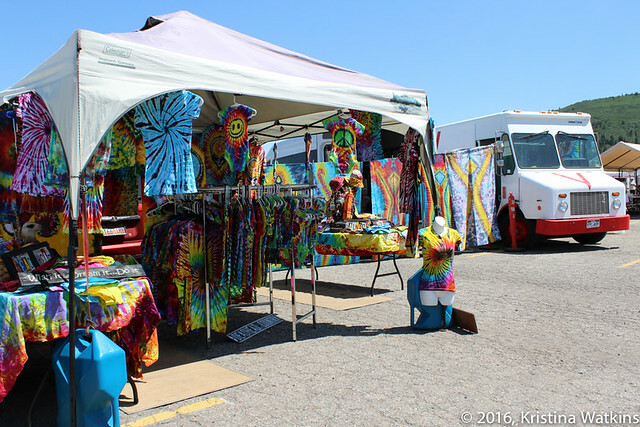 Tie dye tent? Of course! 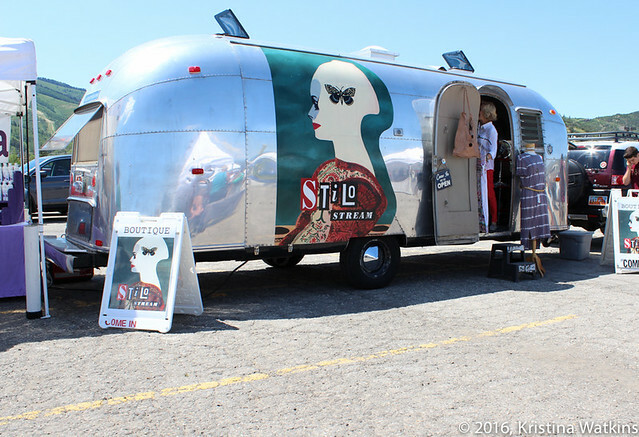 And no farmers market would be complete without an Airstream. 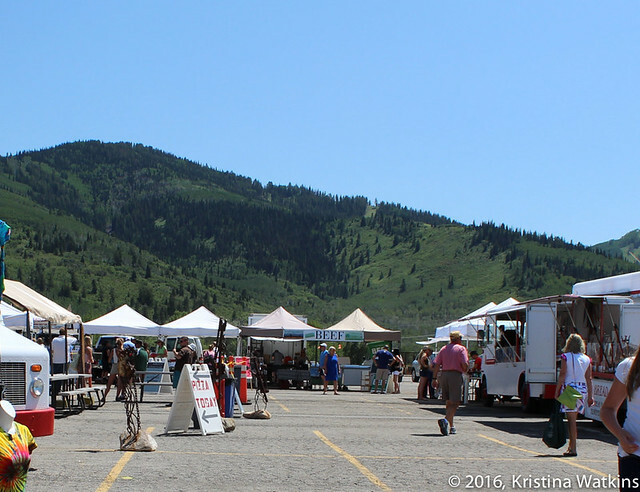 Here in Park City, we do not disappoint.